Mr. Carter filed a third lawsuit, which was again dismissed. This third dismissal was based on two grounds. First, that the lawsuit was barred due to pending cases that were filed earlier – the same ground as the first two dismissals. Second, that the claims were barred because they were beyond the statute of limitations in the FCA. The Fourth Circuit reversed the District Court’s dismissal and stated that Mr. Carter had a right to file suit. In 2014, the made its way up to the Supreme Court. The parties argued two separate issues. The United States argued that the statute of limitations had been tolled, or extended, by the Wartime Suspension of Limitations Act (WSLA). KBR argued that the WSLA applied only to criminal cases, and not civil cases, and therefore the statute of limitations in the FCA should be applied. Second, the United States argued that once the similar lawsuits had been dismissed, they are no longer pending and, therefore, are no longer bar a qui tam lawsuit. KBR argued that Mr. Carter could not sue the company because similar lawsuits had been filed. 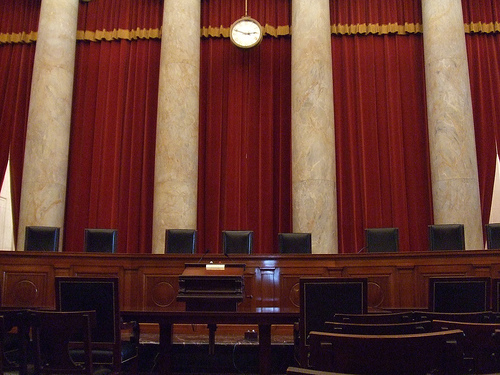 On Tuesday, May 26, the Supreme Court ruled on both issues. First, the court ruled that the statute of limitations in the FCA is not extended by the WSLA. Second, the court ruled that qui tam actions can no longer be considered pending once they are dismissed, and can not be the basis to of a first-to-file rule bar a whistleblower from filing a qui tam lawsuit. While the case does not directly deal with health care fraud, its rulings with regard to the FCA are directly applicable. First, the Court’s ruling with regard to the WSLA means that complainants or whistleblowers who file suit will be limited to the statute of limitations set forth in the FCA. They will not be entitled to an extension of the statute of limitations for qui tam claims. This reinforces a shorter time limit on qui tam actions, and could bar some whistleblower suits from moving forward if too much time has lapsed. Second, the Court’s ruling with respect to the first-to-file rule should protect some qui tam lawsuits from dismissal when other similar actions have been dismissed. This gives health care fraud whistleblowers more leeway when filing suit. Even if a previous similar suit has been dismissed, new lawsuits will still get an opportunity to make their case against fraud. If you have questions about coming forward and speaking up about health care fraud, it’s important to understand the law. Contact our attorneys. We can help you understand your options, protect your rights, and help you seek justice.